89% say that eyelashes had a natural look;91% say it was soft enough to coat of mascara last up to 6 hours later. Theyre Real! 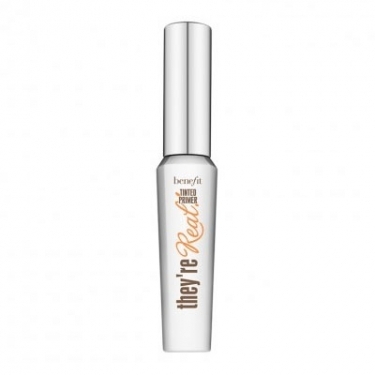 Tinted Lash Primer from Benefit is a painting primer that sets and prepares eyelashes for a natural look. This product can be used together with your favorite mascara in order to boost the length and separation of the eyelashes. Infused with a gel formula with high performance, it is water resistant and conditions eyelashes with provitamin B5. Its Extraflex brush is specially designed to move so as to provide the final separation. Shake the wand at the Foundation of the primer and then run up from root to tip.Wear alone or with your favorite mascara on top. For a light look apply your primer to your upper lashes. If your lashes are small use a skinny thin brush and use a lash comb to extend them. Do not share your primer.